The 6 to 10 day outlook for October 31 through November 4 calls for near to below normal precipitation across most of the nation. From the Plains to the Appalachians there is colder than normal conditions expected. To read more or to see the full map, CLICK HERE. Ohio | 91% of winter wheat have been planted compared to 92% in 2016 | 70% of winter wheat has emerged compared to 61% last year. 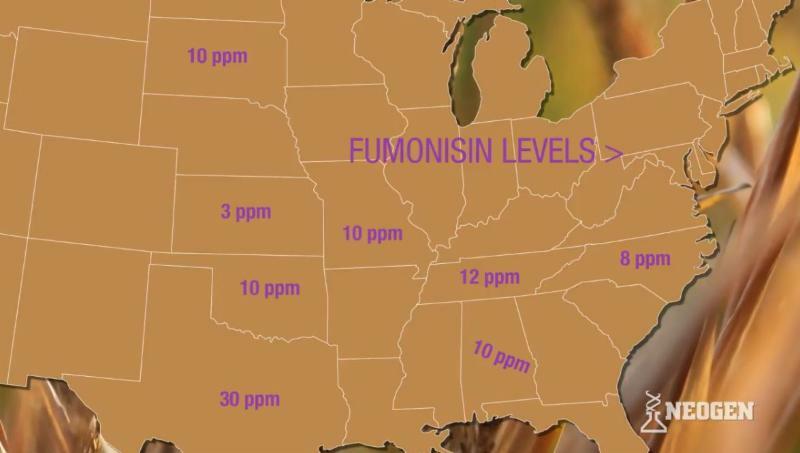 New reports of Fumonisin in corn have been reported in South Dakota at 10 ppm. 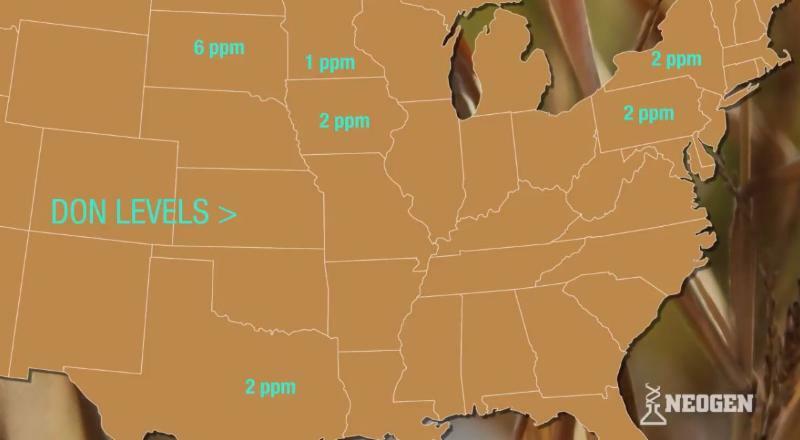 Don has been reported in corn and corn silage in South Dakota and Minnesota. With the latest crop progress report last week, it showed that 70% of the nation's soybean crop has been harvested. This percentage is still down from the four year average of 73%. For corn, the Midwest is struggling. Only 38% of corn is harvest according to the crop progress report. 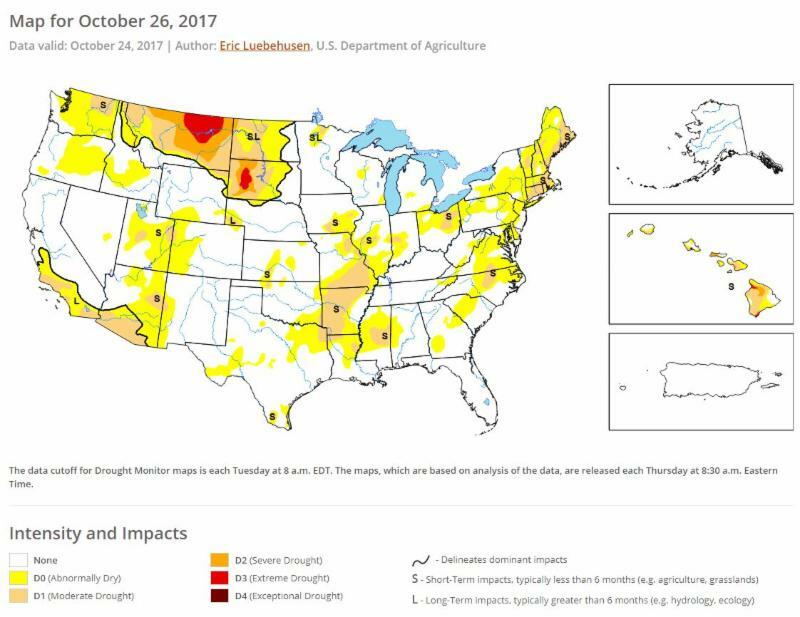 Minnesota farmers have reported that only 14% of the crop are off. 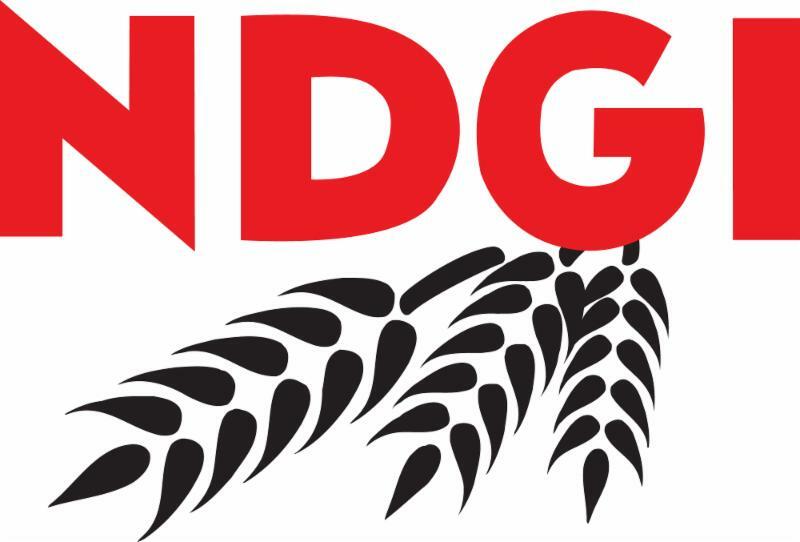 Parts of Europe,form Soviet Union, and North Africa are seeing distinct areas of too much or too little rain that are causing delays in the winter grain sowings. "In large parts of northern Europe, the sowing of winter crops, already delayed by the late harvesting, was further hammered by excessively wet conditions" over the past month Mars, the European Commission's official agri-meteorological bureau. However, in parts of southern Europe, down into north Africa, too little rain is causing panic. "The current dry conditions may delay the sowing of winter crops" said Mars.